Hispanic parents believe that the primary cause behind a lack of parental interaction with schools is a lack of language proficiency. The second reason is that Hispanic parents feel they are only asked to contribute to school events to cater or clean up afterwards. In other words, these parents do not feel valued as members of their school community. There is an obvious link between the two, language acquisition and feeling wanted. Many such parents will feel locked out of the school community socially where they hold a perception that their language is not respected or represented. They are further left to deal with the anxiety of being bombarded with daily bulletins: a release form to be signed for a field-trip, emails from classroom-teachers, official documentation for various enrollments. In short, poor language skills affect interpersonal communication and understanding of the “language of school”, leading to isolation from that community. For the teachers sending out the release form for that field-trip, it is understandable that they too will become frustrated when they receive no response from parents. The simple absence of a signature on one release can throw a carefully-planned field-trip into confusion and very quickly conflict can begin to define the relationship between teacher and parent. In the absence of interpersonal communication, there is little hope of this relationship being improved. What is needed is neutral ground on which to begin building a shared sense of community. An ideal tool for this is ParentSquare, a secure social network for schools. It provides users with an intuitive interface and it can be accessed from any device with an internet connection. Each member of the school community is invited to join the network and once they have done so, there is no set-up or orientation required – even the barrier of a sign-in page is removed. For those who are anxious about using technology, it is a heartening experience. There is the option to post in English, Spanish or both, meaning that all members of the community have access to important school information. Even where schools use Facebook or other social media to interact with the community there is not this crucial bilingual element. Beyond referring important information, this dual posting has the effect of showing Hispanic parents that their language is valued as an asset and not seen as a barrier or a problem. It is a powerfully simple statement. ParentSquare takes away the anxiety felt by Hispanic parents by centralizing all important school announcements and by ensuring that they are accessible to all members of the community. An outstanding feature of the program is its ability to allow parents to click on any important date and have it transfer automatically to their calendar on whichever device they use. Likewise, ParentSquare offers parents push notifications which alert the user to any new bulletins as they happen by text or through the App if preferred, or they can choose to have a daily bulletin sent in the language of their choice. This proactive feature is what makes this program different and meaningful. Community members who do not have access to a desktop or who are anxious about the use of technology can be kept abreast of all bulletins on their mobile device. If they so choose, they need never go to the program homepage and yet keep up to date on the happenings that matter most in their child’s education. To gauge parent interaction with the program, school administrators can, through the dashboard feature, see exactly what percentage of parents are being reached. This allows administrators to develop evidence-driven strategies on how to engage those hard-to-reach parents. Arguably the most impressive feature of ParentSquare is how it deals with what Ms Hernandez refers to as many Hispanic parents feeling used by their school. Despite their best intentions, the constant stream of interactions from a school can often feel like dictates: “sign here”, “be here at this time”, “you must provide…”. Even on popular social networks that schools use to interact with their community, posts usually relate to events that have already happened. Parents are reduced to simply commenting or endorsing and have no chance to become involved in shaping events, thus they have no meaningful sense of engagement with what is presented. Without meaning to, schools dictate to their parents but do not interact. ParentSquare allows for all members of the community to create events with options to call for volunteers and resources. The organizer is told by push notification when his/her wishes are fulfilled. It is again a brilliantly simple concept. Too often in schools, communal events are organized by the same few highly-engaged people. These will normally be non-minority parents. This can lead to a very narrow representation of school culture and an unintentionally exclusive one. Empowering Hispanic parents, both linguistically and through ease of access, gives the potential for schools to move beyond the well-meaning but stereotypical “food-fair” idea of multiculturalism to actually knowing one another and building an authentic and shared school identity. About the author: Eoin Lenihan (@EoinLenihan) is a lecturer of Pedagogy at the University of Augsburg, Germany. 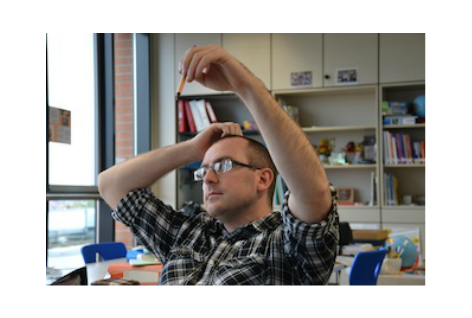 He has taught at the International School of Augsburg and the Bavarian International School. For more see: www.eoinlenihan.com.